Online—Parents or legal guardians may complete an application for Early Childhood online. In person—Applications are also taken on-site at the Early Childhood Application Center, 701 South Hancock Street, in the Ernest "Camp" Edwards Education Complex. Applications are taken throughout the year. Review the calendar of dates and times you can apply. Please note that on days when school is canceled, such as for bad weather, our office will be closed and applications will not be taken. Priority is given to early applications and 4-year-olds. At the time of application, you'll need all of the documents listed below. Partial applications cannot be submitted. Program staff will verify all of the required documents and may request additional documentation needed to determine eligibility. The following are not accepted as proof of income: food stamp and Supplemental Nutrition Assistance Program (SNAP) letters. The following are not accepted as proof of residence: driver's license, photo ID, personal check, or Kentucky Transitional Assistance Program (K-TAP) documents. Any other proof of birth documentation must be state-approved and must be accompanied by a signed affidavit. Proof of employment or enrollment in an educational/training program (for Early Head Start only). Children do not have to be present for the application process. Early Childhood is not a mandatory program and has limited space for children. 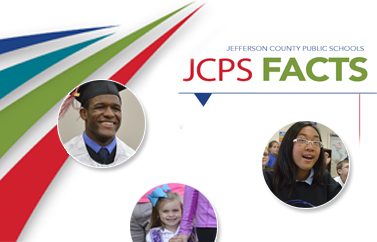 JCPS Early Childhood only serves children who reside in Jefferson County, Kentucky, with a legal custodial parent/guardian. All of the programs are income-based, except for Tuition-Based Preschool and preschool for children with disabilities. Children are placed in programs according to income, available space, and the program's ability to transport the child. Placement is not guaranteed for every applicant. Early Childhood is not located in every school; therefore, the program selects placement. Applications are taken year-round, and children are placed throughout the year as space becomes available. To learn more, call (502) 485-7677.